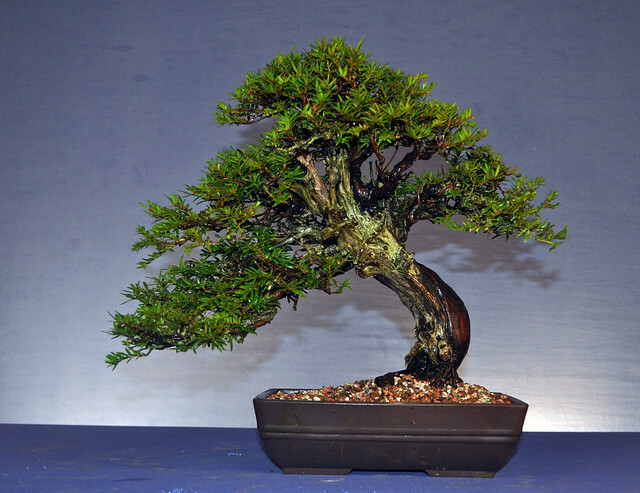 I’ve had this little Yew since 2002 when I bought it as raw material. That said, it was in this pot even then. 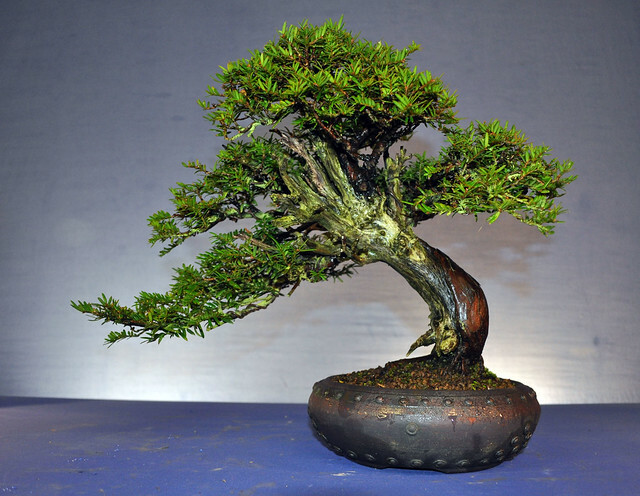 I love the pot, Ian Baillie only makes good ones but after all this time I felt either the tree had outgrown the pot or I just needed a change. This is it in the old pot. And this is it’s new home for the next few years. 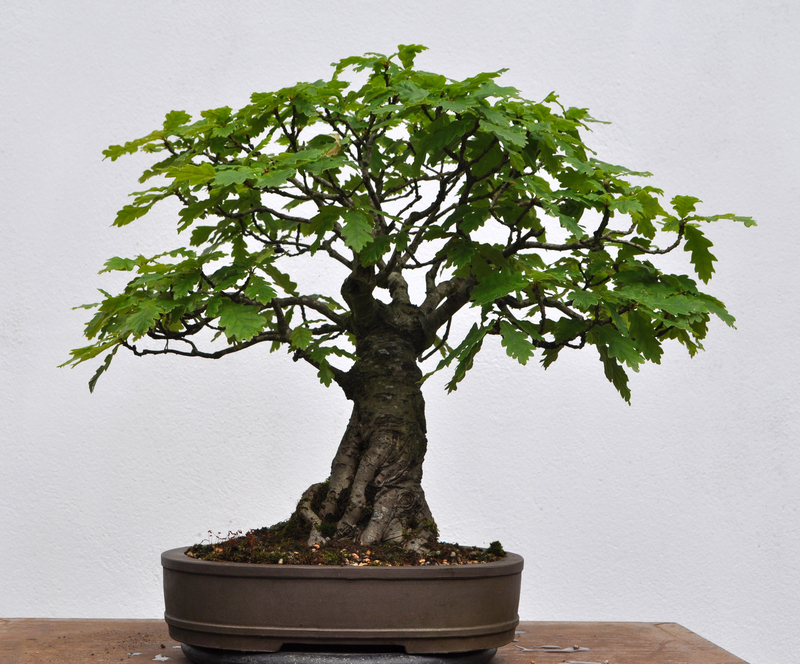 A nice Japanese pot I picked up with a bit of age about it.. It’s perhaps a little big but the tree could do with a few years of freer root growth as I will now spend a little more time on improving the overall image of the tree. 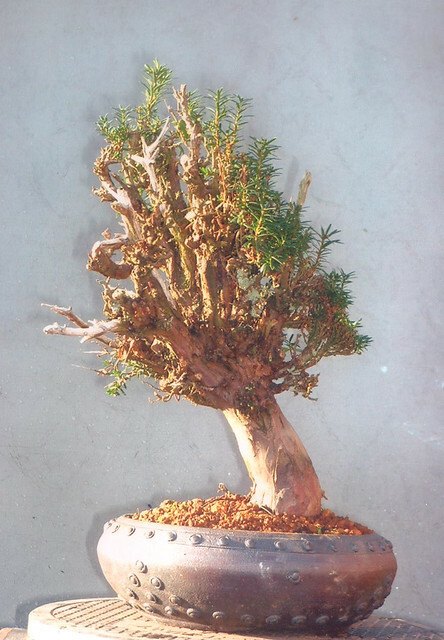 This was it back in 2003 as raw yamadori material. It’s come a long way but probably has as far to go again!